The nail board has been going crazy lately with everyone looking for Sally Hansen Hidden Treasure- a really neat polish that adds a really cook flaky effect when used on top of other polishes. It's been very hard to find since the display only has spots for 2 of these. You can see Brooke's swatches here- gorgeous! I found a lone bottle at Walgreen's last week, but haven't had a chance to try it. I ran to WalMart just now to pick up something, and lo and behold, another bottle! So I picked it up to give away here on Manicure Mommas. To enter: Tell me your absolute favorite nail polish ever. This rule is a must! This is your first entry. Winners are chosen by Random.Org, if you want all your chances counted, make sure you leave individual comments! Contest ends Friday, 5/28 at 10pm CST and is open to US residents only. Rules for each entry must be followed to be valid. My FAVORITE polish ever is probably a tie between OPI Mad As a Hatter from the Alice in Wonderland collection, and another OPI from the Designer Series collection from 2007 - I can't remember the name of it right now, but it's a hot hot pink with sparkles that just EXPLODE in sunlight. I wish it were still available to purchase! OK - 4th and final entry - I blogged about it too! but i guess it'll be a three-way-tie between ManGlaze "Hot Mess", Morbid "Silver" (gorgeous aluminum-like finish) & Nfu-Oh "#60"
My favorite nail polish ever is probably OPI Lincoln Park At Midnight! Most people have Lincoln Park after Dark but I think LPAM is much prettier! Its a gorgeous silvery deep plum purple. Wearing it right now! My favorite polish is Essie Starry Starry night! I don't know if it's exactly my favorite of all time but it's my favorite color of the moment -- A Perfect "10"'s Power Up #1617. I bought it at Walmart for like $1.50 or something and I love it! It's a light purplish shimmery color in the bottle but it comes out almost clear with shimmery glitteriness that I just love! I think my favourite polish of all time is MAC Steamy. Mainly because it is the polish that got me into polish! It's so bright, it really chers me up when I'm wearing it. wasn't sure if you needed it! I Follow your blog! Please enter me! thanks for the giveaway, I already follow you! 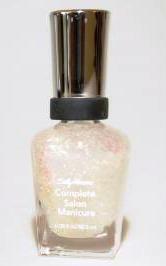 I love my NYC Starry Silver Glitter Nail Enamel, it's so cute for layering and dries in an instant! I am now follower 292! I'm a follower and my favorite polish definitely has to be Color Club - Wild at Heart, so gorgeous. Thanks for having such a fun giveaway! I am a follower via google, Jackie S.
My favorite polish (now) is OPI DS Glamour. I also added your giveaway to my side bar! I love hard candy fishnets. Zoya Gaia is my favorite nail polish of all time. You can win a bottle on my current blog giveaway. :D I can't find HT anywhere!